The world wakes up earlier on Mondays than any other day. The National Sleep Foundation released their 2015 Sleep Duration Recommendations earlier this year. 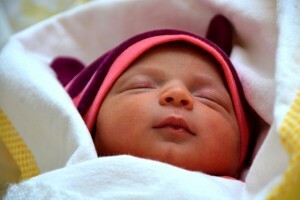 They suggest that a newborn baby should be sleeping up to 17 hours a day. According to me, so should adults. However, healthy sleeping patterns vary greatly between age groups, reducing until adulthood. As adults, we should be getting between 7 and 9 hours of shuteye every night. Don’t take this to heart, as some individuals might function perfectly on 6 or 10 hours without experiencing health issues. Generally, too little or too much sleep can be an indicator of health issues such as obesity, high blood pressure or heart disease. In reality, sleep patterns vary around the world. This has a lot to do with working times, commuting times, or typical night time activities. Spain is commonly known as a nighttime country, with even children staying up past the more common Western bedtime. People will be out on the streets hanging out until midnight, or later, even during weekdays. However, their commuting times usually don’t go over 50 minutes and work hours start later, but also end later (which is explains why they sleep later). In Mexico City, for example, commutes can take up to three hours, within the city. Since work times are earlier than those in Spain, starting usually between 7 and 8 am, Mexicans need to be leaving their homes at at least 5 or 6 am. This is true in many other cities, such as Tokyo, which reportedly had the least amount of sleep in the world back in 2013. A study carried out by a sleep application earlier this year measured which countries slept the least and which slept the most, and how their sleeping patterns shifted throughout the week and weekend. Worldwide, the earliest wake up time is on Mondays; this is not surprising as people are just getting back from a well-rested, stress-free weekend. South Africa was the earliest riser, but Switzerland experienced the biggest change in waking up times from Mondays to the average wake up time the rest of the week. They reportedly wake up 24 minutes earlier than usual every Monday. It is also true that season change and climate may cause sleeping patterns to shift. For example, Northern European Countries may go to bed earlier during the winter times and this is directly related to the lack of natural sunlight (and probably the cold). Sweden sleeps a total of 7 hours and 20 minutes in December, whereas this is reduced by 32 minutes during the summer. In a 2013 report from the National Sleep Foundation, 61% of participating Mexicans reported that music helped for a relaxing, sleep environment. Maybe we should be learning something from them? This same report suggested that the USA and Japan were the countries getting the least amount of sleep. At least two thirds of participants from every country said the last activity before bed is watching TV. A significant number of Mexicans said they prayed or meditated before ‘slipping off into the arms of Morpheus’. This rings true for most religious countries, including India. Worldwide, the best night sleep is had on Wednesdays, with China reporting the best sleep quality on that day. Unsurprisingly, sleep quality rises as the weekend approaches, with Saturday being the official sleep day across the globe. Nearly 90% of the surveyed countries reported to sleep later and longer on Saturday nights. Switzerland takes a whole 41 extra minutes of sleep this day. Portugal, Greece and Spain were amongst the countries to wake up the latest after a Saturday night sleep, well after 9 am. Mexico takes the crown for waking up with the best mood on Sunday mornings, although they don’t figure amongst the countries with the most sleep on Saturdays. But who could ever wake up in a bad mood on a Sunday morning, knowing you have a whole day ahead of not working? Sadly, Sundays are just a reminder of Mondays, and the least sleep was reported on this night. Asian countries topped the list for least sleep on Sunday nights, which sounds horrible if you’re waking up the earliest on Mondays! And so the cycle continues. All these studies just prove one thing: we need more sleep in our lives, regardless of where in the world you are. I suggest starting a petition to shorten work days and elongate sleep times. How about that, Sleep Foundation?